This page, "How to Shred Lettuce" is step 2 in a 3 part tutorial for this sensational easy chicken salad with quinoa and beetroot. 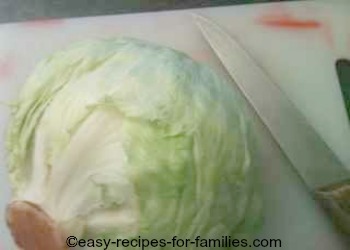 Remove the outside leaves of the lettuce and discard. You want the crisp fresh inner lettuce leaves. Using a sharp heavy knife, slice thin slices from the head. Continue slicing till 1/3 of the head is sliced off. 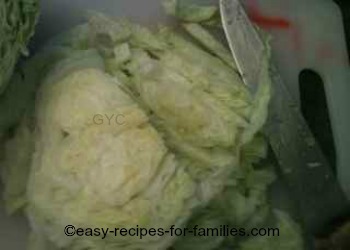 The sliced sections are thin flat layers of lettuce. Now stack 2 layers and cut across just like in the photo. Continue to shred till all the sliced lettuce is shredded. 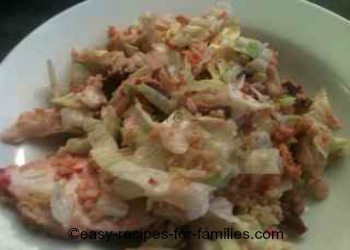 Toss the lettuce leaves into the salad bowl and we'll move onto the next part of the salad tutorial. Now wasn't this ever so easy! 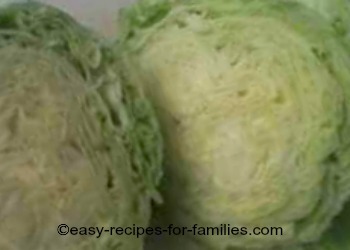 Leave How To Shred Lettuce to browse through hundreds of tasty easy recipes!